Pokémon GO might have moved on from its popularity boom, but it still maintains millions of active players. 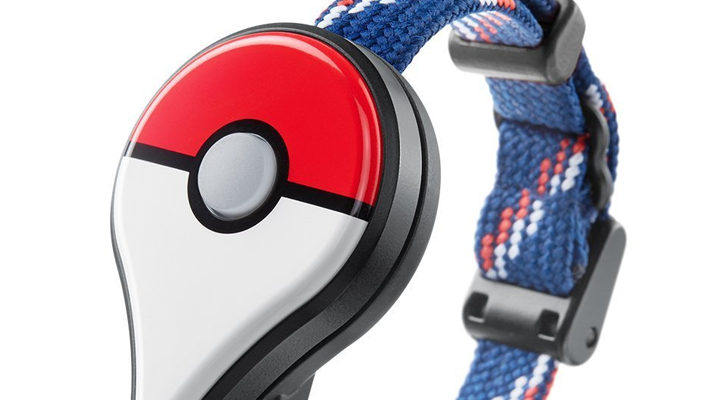 If you're one of those, you might be excited to hear that the Pokémon GO Plus accessory is now available. For just $34.99, you get the above wristband with a Pokéball in the shape of a Google Maps marker. When paired with an Android 4.4+ device that supports Bluetooth 4.0, you can catch Pokémon without even opening your phone. When you're near a Pokémon, the device will vibrate and flash green. All you have to do is press the button to throw a Pokéball, and if you successfully caught a Pokémon, the device will flash and vibrate again. You can also interact with Pokéstops without getting out your phone. The device will vibrate and flash blue when you are near a stop, and pressing the button receives items. Walking with the GO Plus also counts towards walking your Pokémon and hatching eggs. The Pokémon GO Plus is currently in stock at Amazon, GameStop, and the Nintendo UK online store. Let us know if you find other sites with stock in the comments below. The Pokémon GO Plus requires Pokémon GO 0.37 or later, which blocks rooted devices. We wrote a guide for getting around this block, if you're up for it. Pokémon GO 0.37.1 has just been released for Android, containing some bug fixes for the Pokémon GO Plus device. It's a good idea to update if you purchase a GO Plus.